On April 12, 2018, the four-day American Radio and Television Show（NAB Show）in Las Vegas ended successfully. This show is one of the most prestigious exhibitions in the global electronic media industry, including television broadcasting products, digital audio broadcasting, webcasting technology, audio production and so on. It is a professional exhibition with large scale, professionalism and influence. This time, Nanguang appeared at C11539. Now, let’s have some review of this exhibition. This time, the highlighting of Nanguang booth is the appearance of our new products—Pavolites Tube, a creative gantry display. RGB+W full color modes all in one,which attracted the appreciation and attention of new and old customers. This time, the RGB lighting series still attracted much attention and was very popular. 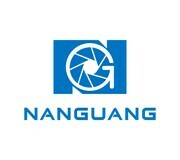 Up to now, Nanguang has participated in the NAB Show for many years. Every year at the NAB show, we are not only to show our continuous progress and innovation of Nanguang Lighting to the world, but is also a gathering for our old and new friends.We appreciated all the supports and help from all of our partners and look forward to meeting again next year!